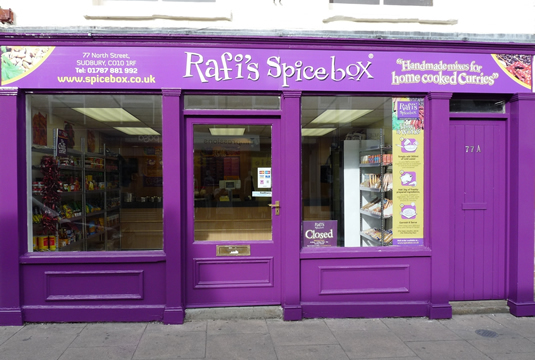 Pop in to one of our shops for your tailored spice experience. 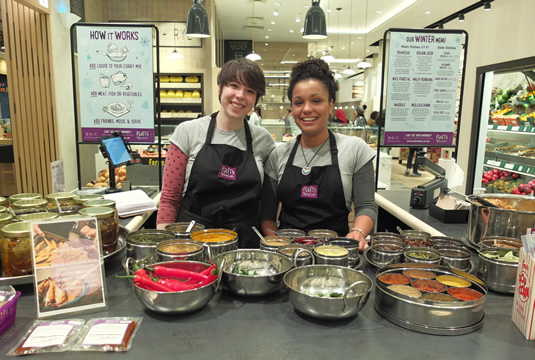 Have a chat to our friendly and knowledgeable team and we'll help you create amazing Indian food at home. To find a stockist of our hand-made Curry Packs near you, take a look at our handy list below. If you have a local Deli, Farm Shop or Butchers where you would like to see our mixes, please get in touch. Annie's Fruit Bowl began 18 years ago and was taken over by new owners Chris & Lisa Lewis in October 2016. The shop stocks fresh local fruit & vegetables as well as dry goods. 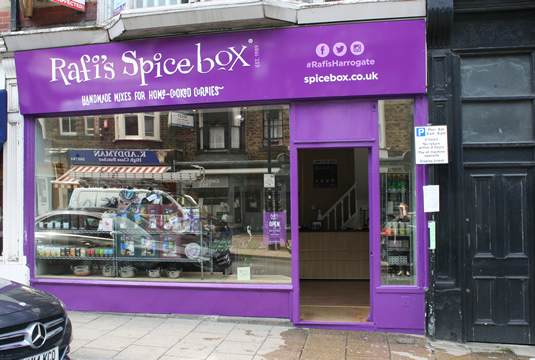 We also sell flower bouquets and water boxes, which are available for delivery of collection along with our veg boxes. 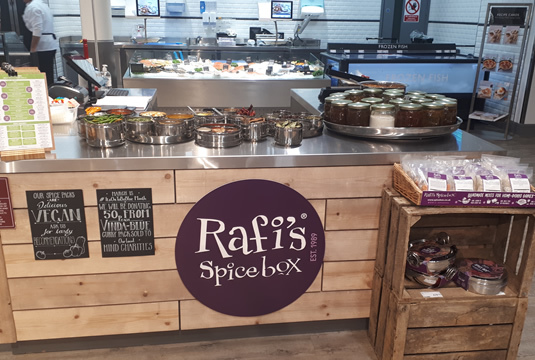 We're thrilled to be stocking Rafi's curry packs. Come and visit us at The Sheep Shed at Botley Hill Farmhouse, where you can enjoy a freshly-brewed pot of tea and a sweet or savoury treat in a beautiful rustic setting. We also have a hand-picked selection of locally-made crafts and food and drink to take away with you: giftwares from Romney Marsh Wool, jars of delicious Briscoes Jellies, fine artisan confectionery from Stas Chocolatier and chutneys, vinegars and more made by Bickerton's. There's also a hand-picked selection of fine wines, beautiful glassware and other unique gifts. C Dawson & Sons was set up in Brayton in 1960 by Clifford Dawson and traded as a high class butcher with its own abattoir. 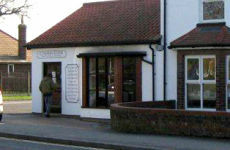 Run now by third generation Dawsons, Phil and John, the business has expanded to include a bakery for breads and pies. They are also known for their excellent home cured bacons and sausages which they make to their own family recipe. High class family butcher. 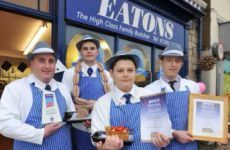 Specialising in award winning pork pies and home made sausages. They also provide a hog roast hire service. Our field to fork storyboard meat counter offers the discerning foodie a smorgasbord of temptation from our locally sourced Beef, Pork, Chicken, Lamb, Game to our own shot Venison. 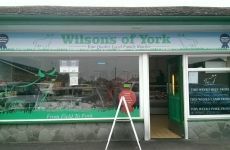 Established over 30 years ago, Ged Bell & Son is a traditional family butcher in the Dringhouses area of York. 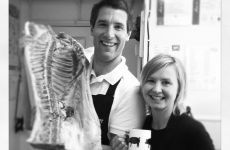 Run by Debbie and Lee Bell, they use traditional butchery methods to ensure the highest quality and value for money for their customers. 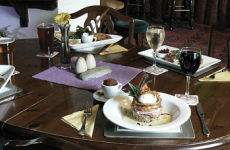 A pub with a restaurant located in Cornwall. 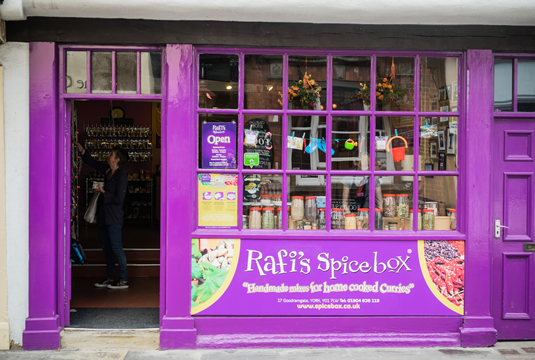 The chef uses Rafi's Curry packs and puts the dishes on the menu. 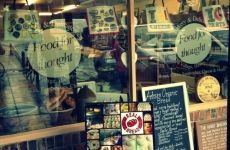 "Food For Thought" Bakery and Delicatessen, in the small town of Haxby, North Yorkshire, is run by husband-and-wife team Phil and Tina Clayton. Since 2008, Phil has been making bread using traditional methods; no flour improvers or enhancers, and less yeast. The deli counter has a large selection of Yorkshire and continental cheeses and a variety of meats, pâtés, and antipasti. Alistair is developing a herd of Aberdeen Angus suckler cows to provide beef for the farm shop which his wife Lucy runs. The aim is to rear beef that is fed on grass and grass products grown slowly on the farm. 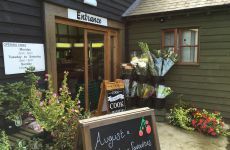 In the shop we offer a wide range of local produce, from home-reared beef and lamb, free-range eggs and local fruit and vegetables, to delicious home baking, cheeses, breads and preserves. 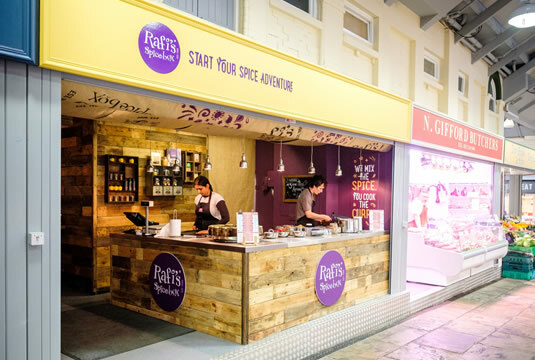 Established in 1990, Hunter's food emporium stocks an extensive range of fresh and store cupboard foods, alcoholic and soft beverages, attracting customers from well beyond the region. On the first floor, are two rooms to explore. 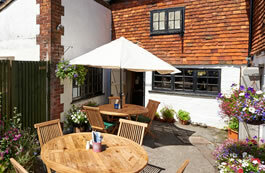 The first offers an incredible selection of preserves, chutneys, cheese biscuits, luxury chocolates, teas and coffees. The second room is full of international foods, beautiful gift ideas, oils, vinegars, pates and complimentary crockery. 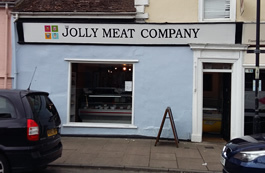 The Jolly Meat Co is a high street butchers specialising in local, free-range meat at a reasonable price. All requests considered, all challenges met. If you want it, and nobody else can help you, then call us. We are Lavenham Butchers. We believe in quality and traditional service to our customers. 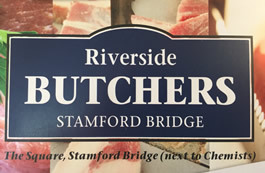 Supplying only the finest local meat and produce, butchered to the highest of traditional standards. 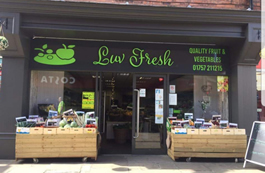 We are a new business serving the local community of Selby and surrounding villages, supplying only the freshest locally sourced and exotic fruit and vegetables. We pride ourselves on providing outstanding customer service in order to guarantee that all of our clients are 100% satisfied. 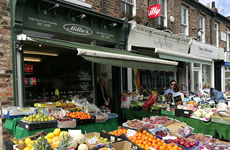 Millie's is York’s premier Greengrocers. We have sold quality fruits and vegetables since 1920. Did you know that we also deliver Fruit and Vegetable boxes for free? A great local greengrocer with everything you need under one roof. Our newly refurbished farm shop has been extended to allow us to offer you many more products than before. In the shop, you will find fridges packed full of all sorts of raw and cooked meat products. There are old fashioned cuts of meats, like pig cheeks and neck of lamb, right through to our more modern products, such as stuffed chicken leg parcels or BBQ Brisket. Whatever you are looking for, whether its pork, lamb, beef, chicken or turkey, our professional staff can help you out. We also have plenty of seasonal products, like venison or pheasants. You will find plenty to go with your meats, we have fresh fruit and veg, condiments, pasta, rice and sauces. We are a family run business, established in 1986, located near to the centre of Taunton, at Riverside Place. 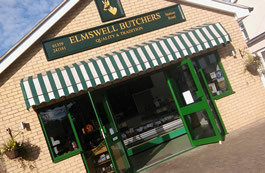 We supply the best locally sourced meat and produce and are proud to be supporting local farmers and the local economy. Our excellent reputation is built on supplying high quality local products; this keeps our customers returning time and time again! 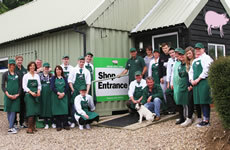 The Tomlinson’s have been farming at Babthorpe for over 90 years. Laura Tomlinson runs the Spuds and Berries farm shop with help from her family, and sells a wide range of locally sourced produce, including PYO strawberries and raspberries in the summer months. 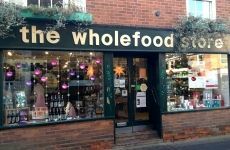 The Wholefood Store open in 1998, and has now doubled in size. They aim to provide food which is ethically sourced, natural, GM free, organic and Fairtrade. They sell a wide range of products including: organic fruit, vegetables, breads, nuts, natural baby care products and eco-friendly household goods. Willow Farm has been farming and serving the public since the 1950’s. Their shop provides the public and local businesses with the freshest groceries and vegetables (home grown and spray free when possible), at reasonable prices. 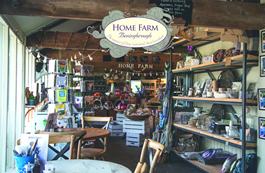 The Farm Shop sells a range of locally sourced edible goods, wine, plants, coal and seasoned logs. 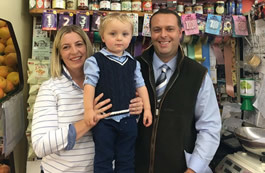 Owner and Master Butcher, David Wilson, opened in June 2001 with the grateful help of his mum who helped develop, make and bake their locally famous pork pies. 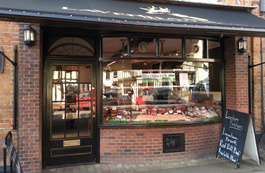 Wilson’s only buy locally-reared, whole animal carcasses and run their store with a philosophy to waste as little of the animal as possible, so from nose to tail, all cuts are available, to pay full respect to the animals they use. Wilson’s also stock produce from other small local suppliers, like fresh eggs, rapeseed oil.